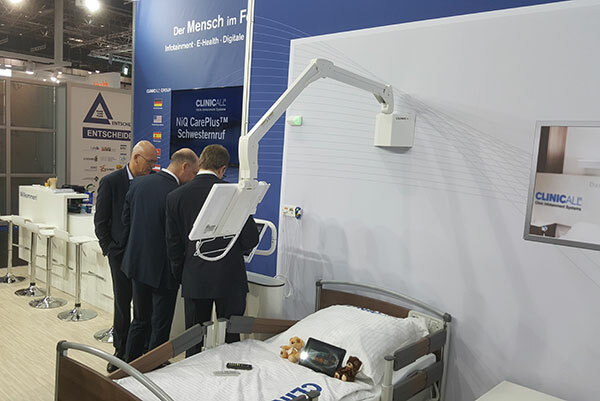 NiQ Health welcomes their partners and visitors to the CarePlus™ and ClinicAll® Stand in Hall 15, Stand B56 at MEDICA 2016 in Düsseldorf, Germany from 14th to 17th November. MEDICA is the world’s leading trade fair for medicine and medical technology with over 5000 exhibitors. Here top decision makers from the healthcare sector come together to be informed of the latest developments and innovations in the medical industry. The NiQ Health Team will update you on our latest CarePlus™ product developments including CarePlus™ Senior. CarePlus™ Senior is the new exciting nurse call solution dedicated to aged care facilities. CarePlus™ Senior is committed to providing the highest quality of care response and safe environment for the residents, while adding value to the ROI for facility operators.